This trail gets little use given its proximity to Livingston and is a hidden gem. The trail skirts through mixed conifers and follows Suce Creek, then Lost Creek. Every season is special along Suce Creek Trail; in the summer the creek provides a cool respite; in autumn, red and orange leaves cover the trail; winter brings conifer boughs balancing snow; and with the arrival of spring the wildflowers pop and bloom in the meadows and other sunny spots. The Absaroka Range is beautiful year round. It isn’t as dramatic as nearby Pine Creek Falls, Pine Creek Lake, or Passage Creek Falls, but it is lovely. 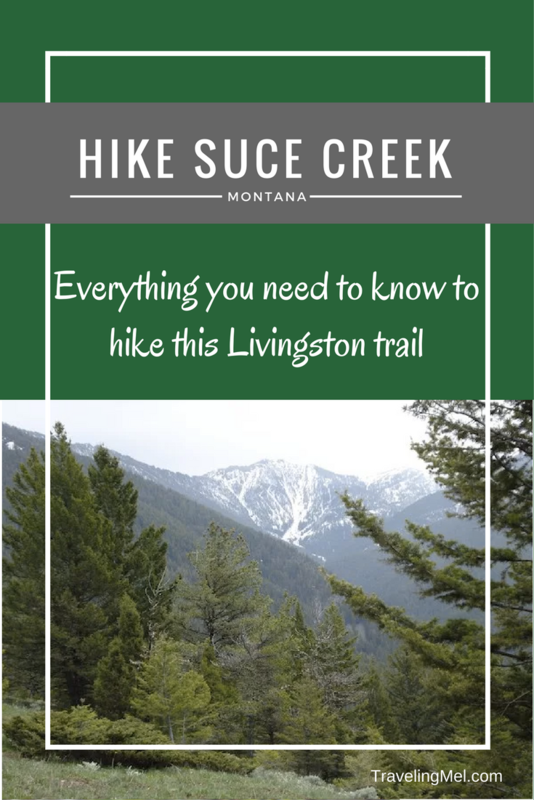 If you are looking for hikes near Bozeman, a place to stretch your legs in route from Bozeman to Yellowstone, or places to visit near Yellowstone National Park, this could be a good place to stop and wander. Looking for another Yellowstone activity? Check out my other site: Yellowstone Trips. Leaving the trailhead parking area in the Paradise Valley Montana, walk south through an open meadow to a gate. After passing through the gate, the trail enters forest. Soon after, a trail sign points to West Baldy Basin, straight ahead (and North Fork Deep Creek behind you and to the right). Continue straight ahead and begin the decent to a creek crossing. Cross the creek (a tributary of Suce Creek) on the bridge and turn right, following an old road. Suce Creek is to the left. Head up the gently ascending valley. Suce Creek at the second bridge crossing. 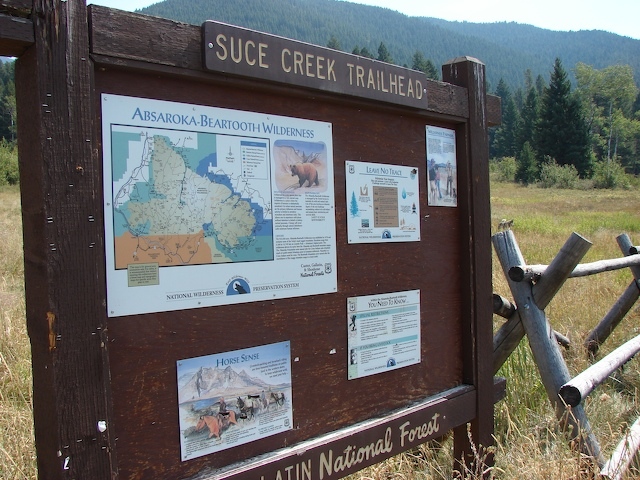 At 0.6 miles from the first creek crossing, you will cross Suce Creek and hike up the right side of Lost Creek (dry). In less than a 1.5 miles, cross Lost Creek–now with flowing water–and traverse up the side of a rocky hillside until reaching a gate and a Wilderness Boundary sign, about .3 miles further. This is also a junction with the Livingston Peak Trail. Enjoy views into the Absarokas and across the Paradise Valley before returning to the trailhead the way you came. 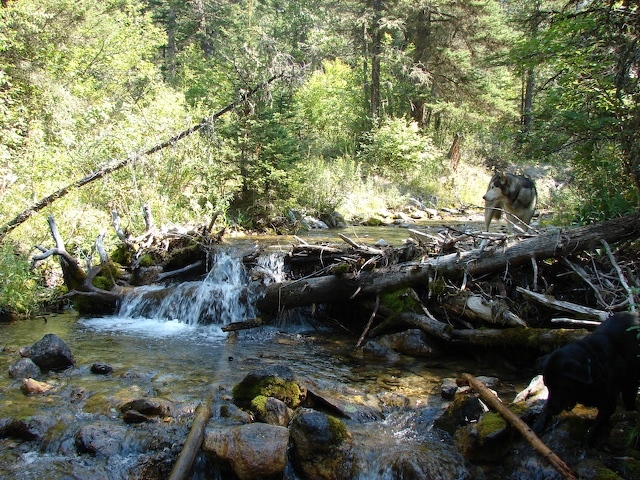 Tip: I like to hike this trail in my water sandals so I can cool off at each creek crossing. Ruffed Grouse can sometimes be seen along this trail, especially after the first creek crossing. These grouse eat weed seeds and grow special comb-like structures (called pectinations) on the sides of their feet to help them walk on top of the snow. Bring a bird book along and identify grouse and other Montana birds. From our turn around point you can continue towards Livingston Peak (to the right) or meet up with the Livingston Peak Trail (straight ahead). UPDATE JULY 2017: Thanks to Forest Service staff, the Montana Conservation Corps and 48 volunteers, an old system trail was improved as part of this year’s National Trails Day. Now, instead of returning the way you came from the Livingston Peak Trail junction, you can make a lollipop loop. Follow the fence line west on a clearly defined trail through a patch of grass and wild flowers. Walk downhill through mixed forest and meadow. Views on this new section are great! The trail eventually crosses Suce Creek near the log bridge. Cross the bridge and head back uphill to the trail head. Here’s how you hike to Livingston Peak. And Six Trails in Livingston, Montana. Getting There: From Livingston, head south on Highway 89 for 3 miles. Turn left on East River Road and continue another 2.7 miles. Turn left again, on Suce Creek Rd, marked by a street sign as well as a brown National Forest sign. Follow the dirt and gravel road 1.5 miles to another Forest Service access sign and turn right. You are entering the Custer Gallatin National Forest. Drive 1.5 miles to the trailhead. 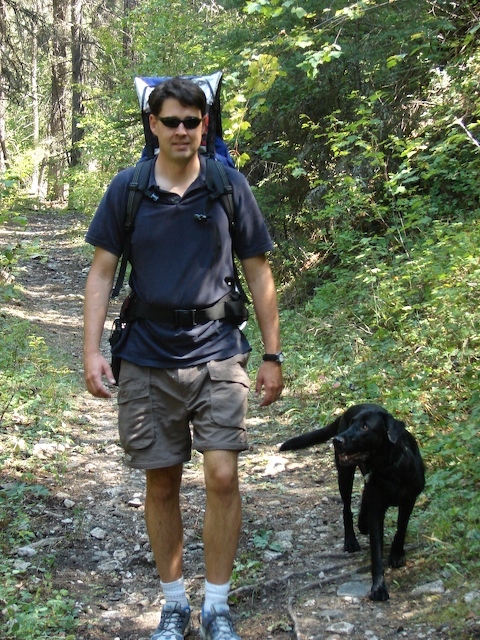 Read about this trail and many others in Robert Stone’s Day Hikes Around Bozeman, Montana. Stone’s Throw Bed and Breakfast is a lovely B&B in Livingston, MT. Click through to read my review. Gardiner Montana lodging includes a slew of hotels and motels. I’m going to direct you to YellowstoneTrips.com rather than list all the things to do in Yellowstone. Share your report when you hike Suce Creek (in the comments! ).